Twin 1-X-A (or 1-X-2) 1939 = 2pClwM; two 75hp Lycoming GO-145 pushers; span: 35'0" length: 22'0" load: 600# v: 135/115/34 range: 375. Tricycle gear, plywood wings; engines were mounted on wing pylons. POP: 1 [NX23001]. Links to some interesting details. 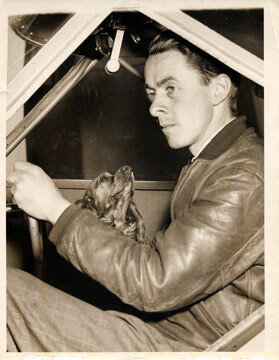 Bud in cockpit with Pupsy East Boston (now Logan) Airport (ca: 1930). Bud's shop to be in Skyways building. Two story Administration Building on far left. AS LONG AGO AS THE MID - 1930's, a pilot's long-wished-for availability of a twin-engine airplane for private aviation began to become a reality. Since soloing in 1931, Bud Rich had owned and flown many aircraft, including an OX5 Eagle Rock, Davis, Ireland and Lockheed. He frequently considered the advantages of continuing flight should one of two engines cut out. He put ideas and sketches down on paper. We know of no precedents or pre-engineered kits for such a creation. At that time, he (Nelson Barnard Rich) was instructing a course in practical-applications for aircraft students at M.I.T. To his delight, he found three graduate students shared his enthusiasm for his basic plan for a twin-engine airplane. Soon, they were supplying the needed engineering! 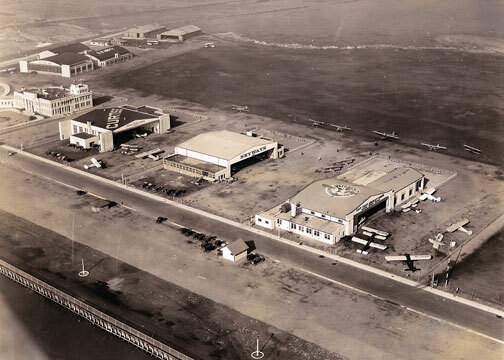 Bud provided materials, mechanical skills and space at his "Government Approved Aircraft Repair Station #226" at the Boston Airport. After Bud had successfully test-hopped it in April of 1939, it was featured in publications such as Janes, Aerosphere, Aero Digest, and others. Those three young engineers were James (Jim) Kendrick (later with Lockheed); Holden (Bob) Withington (later V.P. of Boeing); and, in particular, William (Bill) Cook (also V.P. with Boeing and author of the incomparable book: "The Road to the 707"). All of their original blue prints and drawings have been preserved. 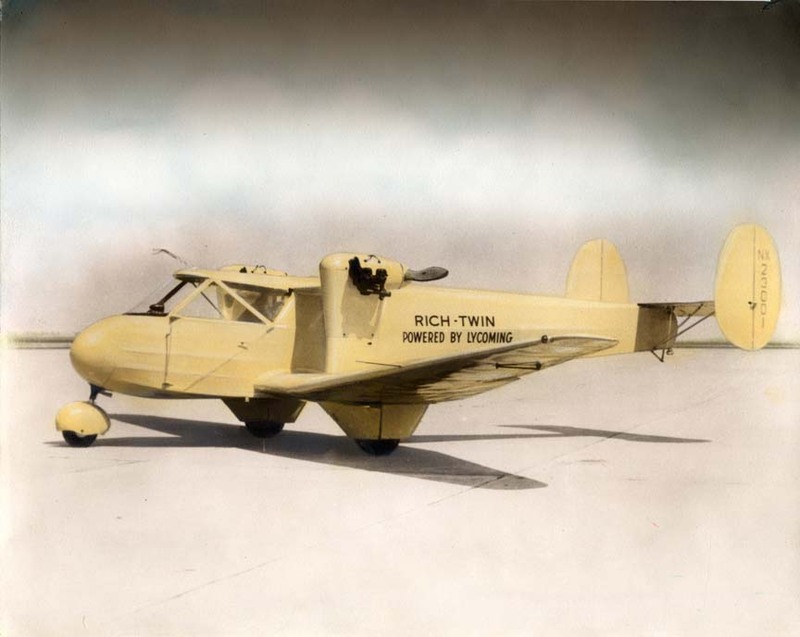 The name "RICH-TWIN" was given to it in Ohio by men from Lycoming who had generously provided its 75 h.p. engines and worked with Sensenich for efficient propellers. They surprised us by having this name painted on the ship's smooth, yellow fuselage when Bud and his wife Alberta (Berta) had flown it to Cleveland's last Air Show before World War II. Together with their sons, Al and Dave, daughter Nancy, and their families, Bud and Berta enjoyed celebration parties for their sixtieth wedding anniversary and for his ninety-second birthday. Not long after, Bud passed on peacefully at home in Titusville, Florida on March 15, 1998.